Community Energy Plus are celebrating after their project was named runner-up in the national award scheme the Energy Impact Awards, beating more than 70 competing entries. 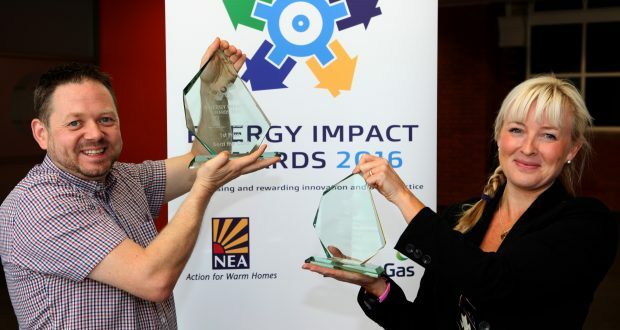 The Energy Impact Awards, run by leading fuel poverty charity National Energy Action (NEA) in partnership with British Gas, recognise best practice amongst agencies carrying out work that focuses on energy projects tackling fuel poverty by benefiting vulnerable people in the local area. Community Energy Plus has been awarded a £7,500 grant which is enabling them to extend their pioneering “Energy Fit Kitchens” project. Over the next six months an additional 75 low income families in Cornwall will benefit from the charity’s innovative approach of using slow cooking workshops as an engagement tool to take control of their energy bills and enjoy warmer, healthier, homes. Community Energy Plus’ pilot project was funded by a grant of £47,333 from the ScottishPower Energy People Trust and has supported 611 families over the past year. The grant from the Energy Impact Awards will enable the charity to trial a different format of workshop, this time engaging both children and their parents in slow cooking events where they can learn valuable lessons related to cooking and eating healthily on a budget, reducing energy use and bills and combatting condensation and mould. Community Energy Plus is a Truro based charity which projects and provides free advice to help people in Cornwall to enjoy warmer, healthier homes with lower energy bills. The charity will be working with the Cornish Social Enterprise Little Kitchen Magicians to deliver the energy focused family-friendly slow cooking workshops.